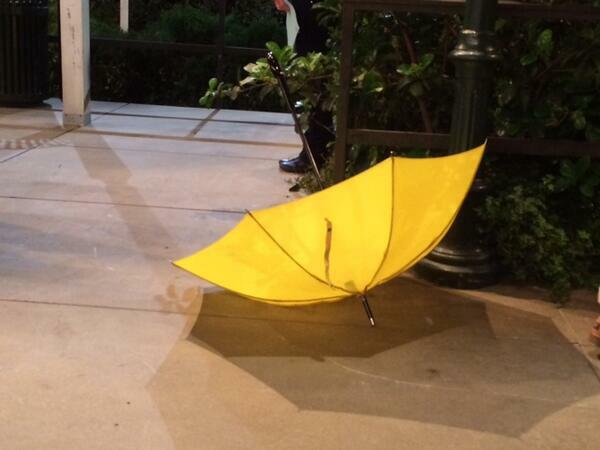 Less than a week ago, “How I Met Your Mother” bid its followers farewell in a finale that has been widely criticized. Fans were disappointed. It made no sense, they argued. How did the characters end up there, when they spent nine seasons going in the opposite direction? The one-hour series finale, “Last Forever, Parts 1 and 2,” didn’t deliver the ending that many were hoping for. I admit now, I absolutely loved it. So, my friends, I present a defense of the finale. Barney: We should buy a bar. Ted: We should totally buy a bar! Barney: And the name of our bar: Puzzles. 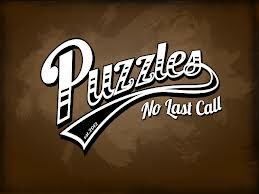 People will be like “Why’s it called Puzzles?” THAT’S the puzzle. Ted: That…is…a GREAT name for a bar! I imagine that real-life bros (and HIMYM co-creators), Carter Bays and Craig Thomas, once had a conversation similar to Ted and Barney’s. We should write a script for a TV show. We should totally write a script for a TV show! And the name of our show: How I Met Your Mother. But it won’t be about the mother. That’s the twist! Just like the fictional Puzzles, the name of our beloved TV show suggested that there was a story to be told. Ted’s clues to the kids implied a mystery to be unraveled. Looking through the kids’ lens, it was a puzzle that took us viewers nine years to solve. But Bays and Thomas already knew how the finished puzzle would look and they gave us hints all along the way. Some viewers paid little attention to those clues, assuming the writers would just explain everything in the end. But if you viewed HIMYM as a straightforward sitcom, ignoring the puzzle pieces as they were slowly revealed, then you missed the element of mystery contained within the show. My take on this was different. I thought of the show as the viewers’ own personal riddle or math problem. We don’t get to decide what 38 x 47 is, but we can gather information in order to deduce the answer. Similarly, I was convinced that we had been given all the information we needed to solve the HIMYM puzzle. It wasn’t about whether or not we wanted TM to die; it didn’t matter if we preferred Barney/Robin over Ted/Robin. What mattered was, What is the answer to this elaborately staged series of clues?!? Challenge accepted! While watching new episodes of season 9 as they aired on CBS, I was also binge watching previous seasons on Netflix. I was listening carefully for the times when Future Ted gave the kids glimpses into his future, such as: “I found out years later your mom was at that party; I just didn’t meet her.” (“No Tomorrow”, season 3, episode 12) Based on the clues, I went into the finale expecting for TM to die; for Robin & Barney’s marriage to somehow end; and for Ted & Robin to be together. I thought TM was the sweetest, quirkiest, most perfect person for Ted; I didn’t want her to die. I was pleased to see Barney’s character mature over the course of the show and was initially surprised to see him return to his old ways in the finale. (Although, after some thought, that twist made perfect sense to me. I’ll be writing about that topic next time.) Also, I never fully understood why Ted was so into Robin; I didn’t particularly want them to end up together. (I’ll write about that next time, too.) But perhaps I was happy with the finale because I had time to prepare myself for things that took other viewers by surprise. I didn’t wonder what story they were going to tell; I wondered how they were going to tell it. As the last pieces fell into place, we were presented with a puzzle that generally looked the way I expected it to. This is written for the fans of the yellow umbrella; the fanatics whose loyalty matches that of Patrice and Scooter. Don’t go away angry. Go back. Watch again. Look for the pieces. They’re all there. And you may fall in love with the puzzle all over again. I don’t actually watch this show, but I have seen it a few times. I also promised a friend to reblog it for her. And she has analyzed this well. I almost want to watch the series now. Enjoy! Previous Previous post: “Blessed are those who defend their rights,” said nobody, ever.